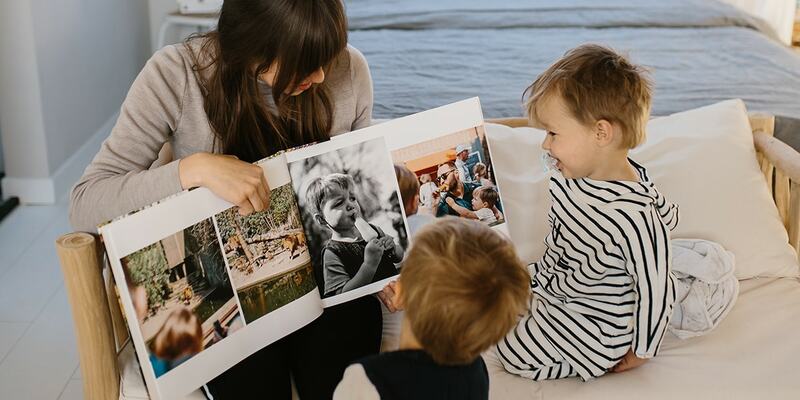 Make your next photo book your best one yet with our layflat premium feature. 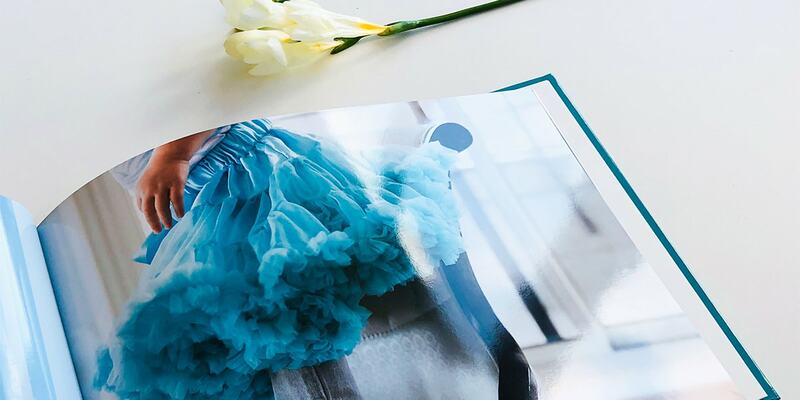 Discover why you should use it in your next photo book and how to create it yourself. 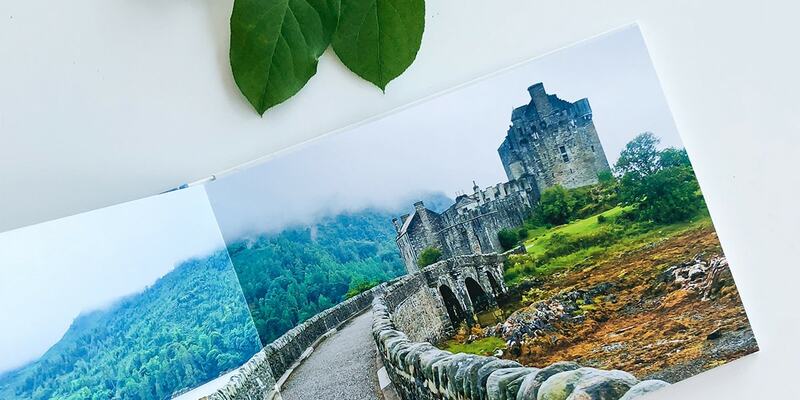 Our layflat premium photo book feature takes away the crease in the middle of books, so your photos run seamlessly across two pages – perfect for your favourite landscape shots. Here we’ll give you some ideas on which photos to use, how to create your book and how to display it once you have it at home. What exactly is layflat premium? Layflat photo books use unique book binding techniques that allow the pages to open completely flat. There’s no crease in the centre of the page, so your photos will be printed seamlessly from left to right. 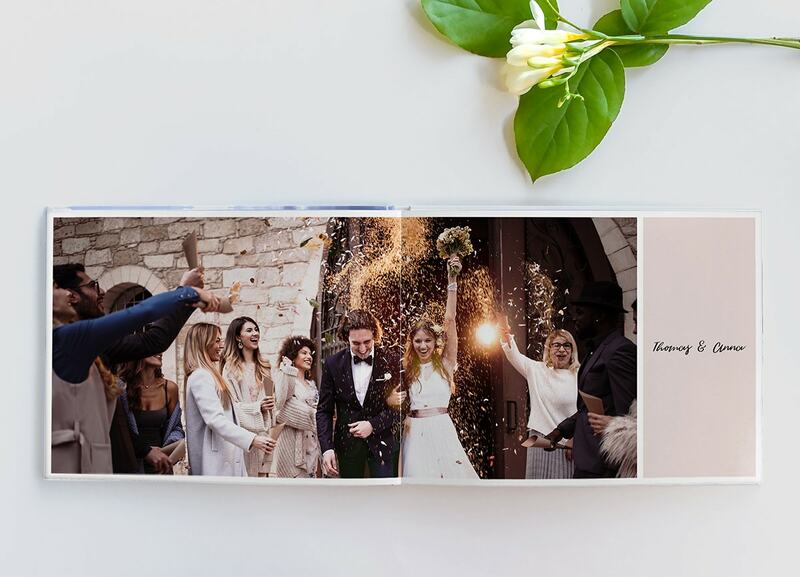 Our layflat premium photo books also use special paper that’s thicker than what we use in our standard photo books. A Layflat Premium photo book (top example) has no break down the centre of the page. When should I use layflat premium? 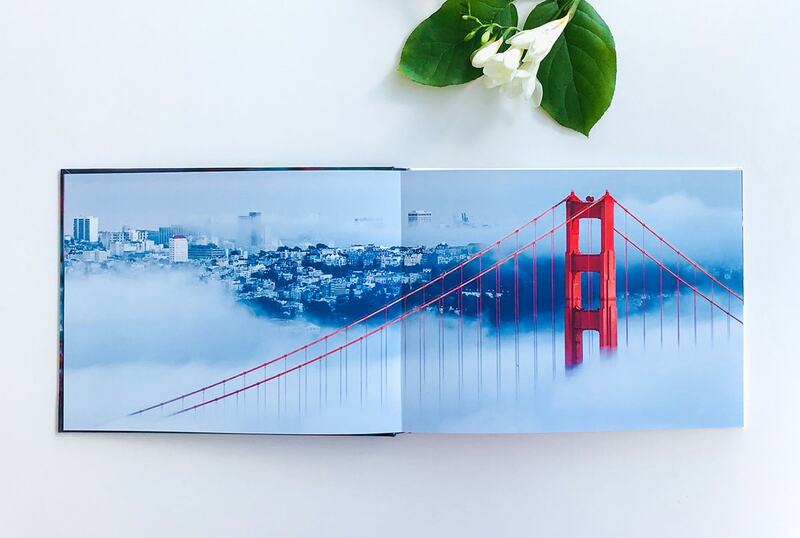 We think layflat premium photo books look great with every type of photo, but there are certain shots that are guaranteed to shine. If you’ve taken an incredible photo of a sunset or a mountain vista, then print it across two pages to show it off in all its glory. In fact, any sort of landscape photo will look beautiful across a double page spread. At weddings and large gatherings, the best pics are always the ones that include absolutely everyone. Layflat makes sure that none of your friends and family get lost in the centre crease. Layflat is a great way to make a creative collage out of your favourite photos, simlar or otherwise, and create a seamless collection from left to right. 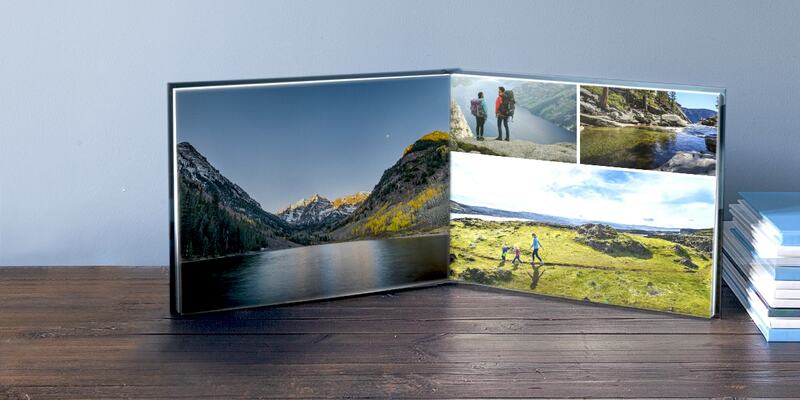 How do I create a layflat premium photo book? Choose layflat premium directly in the offline or online creator tool. You’ll be given the option when you first start creating or you can add it later using the ‘extra options’ tab. How should I display it in my home? 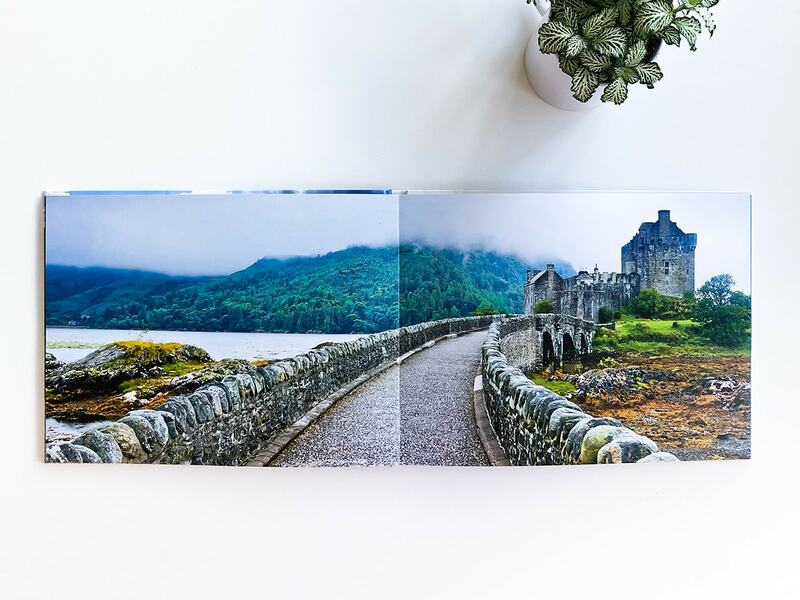 One of the best things about a layflat premium photo book is that it will look beautiful displayed in your home. You can leave it open on your coffee table, to show off your favourites. You could also display it on a book stand and change the open page for plenty of variety. For more advice on creating your best photo book ever, read our tips on creating a photo book like an expert. You can also add a glossy finish to your pages to make it even more special. 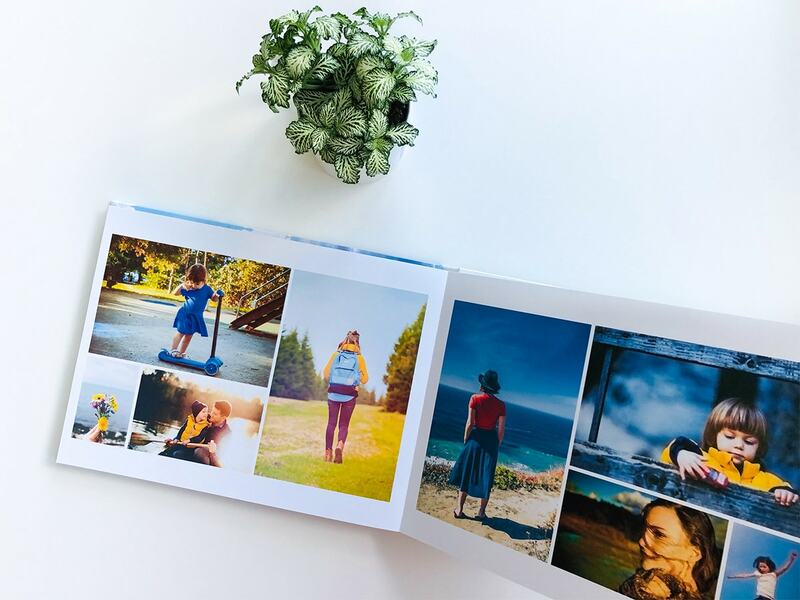 And once you’ve made your photo book, share a photo of it with us on social media using the #bonusprint hashtag so we can see what you’ve been creating.